Ezetimibe, marketed by Merck/Schering-Plough under the brand name Zetia, is a cholesterol-lowering medication that works by inhibiting the absorption of cholesterol in the small intestine. Most of the cholesterol in the body comes from one of three sources, the food you eat, synthesized in the gall bladder and released into the small intestine, and within the liver itself. Ezetimibe (Zetia) works to reduce the cholesterol from the first two sources, but does nothing for the last. This is one of the reasons why ezetimibe (Zetia) is often recommended for concomitant therapy with one of the statin class medications, which do work to reduce cholesterol synthesis in the liver itself. In addition, ezetimibe (Zetia) seems to be reasonably safe to take at the same time as the statin class medications. If you know anything about the statins, you know that this is rather rare, which means that ezetimibe (Zetia) was given a rather warm welcome in the world of cholesterol-related disease. However, several studies are finding problems with the use of Ezetimibe. West, A.M. et al., "The effect of ezetimibe on peripheral arterial atherosclerosis depends upon statin use at baseline", Atherosclerosis, In Press, 2011 - suggests that if you have been on a statin drug for a while and THEN you are placed on Ezetimibe, that it wont really help that much. However, the authors did find that if you started both ezetimibe and a statin drug at the same time, then it may have a beneficial effect. 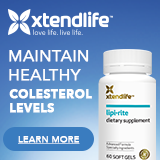 When used alone, ezetimibe (Zetia) was shown to reduce intestinal cholesterol absorption by up to 54% and reduce low-density lipoprotein levels by up to 20%, although this number may not be reflected in your particular case. Everybody has a different response to medications, the best we can do is give some broad statistics by studying a large group of people. In addition, ezetimibe (Zetia) is still too new of a medication to know if it significantly reduces the risks of cardiovascular events or the risks of having to undergo surgical revascularization procedures such as coronary bypass surgery. Ezetimibe (Zetia) is not recommended for pregnant or nursing women at this time, mostly because clinical studies can't be run on pregnant or nursing women and we have no idea what Ezetimibe (Zetia) will do. Just like the vast majority of other drugs out there. Having had two children, I do know what a pain it is to not be able to take just about anything, but who really wants to be the test case? In addition, people with severe liver or kidney malfunction are also cautioned against taking ezetimibe (Zetia) because the level of medication in the blood does go up significantly in conjunction with these conditions. Mind you, once again nobody knows what Ezetimibe (Zetia) will do exactly, but the pharmaceutical companies tend to run with the "better safe than sorry" philosophy when it comes to medications. It only took several big lawsuits. . .
Ezetimibe (Zetia) has been tested on children down to age 10 without significant side effects, developmental problems or damage. Ezetimibe (Zetia) worked as well on these children as the adults who volunteered for the testing, so it's clear to give to children down to age 10, but no younger. Again, those pesky ethics that keep us from mass-testing drugs on children too young to understand what they've volunteered for. Part of the reason for the split is because the metabolism of small children literally works much differently than adolescents and adults. Even if a medication is safe for animals, safe for adults and safe for adolescents does not mean it'll be safe for small kids. Occasionally a medication will be tested on young children when the disease specifically affects youngsters and the potential benefit is really, really worth the risk, but it's not done all that often. It's especially not done when the disease being treated usually affects adults the worst. So, if your small child suffers from nasty high cholesterol levels due to genetics, you and your doctor may decide that it's worth the risk with extremely careful monitoring, and I'd be the last to dissuade you. Just know that you're venturing into unknown territory. The ingredients of Zetia are ezetimibe, croscarmellose sodium NF, lactose monohydrate NF, magnesium stearate NF, microcrystalline cellulose NF, povidone USP and sodium lauryl sulfate NF. If you're allergic to anything on this list, do not take Zetia. This list is only good for ezetimibe marketed under the brand name "Zetia". It's also marketed in combination with other drugs, and this list does not hold true for those drugs. Ezetimibe is not yet marketed as a generic drug, as the patent on it does not run out for quite some time. How long for Ezetimibe (Zetia) to work? When taken orally, ezetimibe (Zetia) reaches peak concentration in the blood within four to twelve hours. Of course, Ezetimibe (Zetia) can't be given any other way. Whether or not you have food with Ezetimibe (Zetia) apparently has no effect, nor does what time of day you take it, so do what makes you happy. Ezetimibe (Zetia) passes through the body fairly quickly, and is undetectible in the blood forty-eight hours after taking the last dose. The maximum therapeutic response is usually seen within two weeks and continues with ongoing therapy. In other words, from two weeks from start and as long as you're taking Ezetimibe (Zetia) according to the directions, you should be getting the maximum benefit you're going to. There's no medications that you're absolutely forbidden from taking while on Zetia, as it doesn't seem to interfere overmuch with the metabolism of other drugs through the liver. If you're also on warfarin, you and your doctor want to monitor the clotting ability of your blood, as a couple of incidents have been reported of people taking warfarin and ezetimibe (Zetia) at the same time having bleeding problems. Of course, they were also on a lot of other medications at the time as well, so who knows what actually caused the problem? The upshot is, if you're taking warfarin and you add any new medication, you probably want to keep an eye on your blood's ability to clot for a while. Also carefully watch if taking cyclosporine, as ezetimibe (Zetia) levels did go up a bit when given at the same time. Nobody knows if elevated levels of ezetimibe (Zetia) will do bad things to you or not, so keep a lookout. Nothing happened when Ezetimibe (Zetia) was given at the same time as antacids, oral contraceptives and statin class medications, so those are all ok. In addition, ezetimibe (Zetia) was given with a whole long list of medications known to be metabolized in the liver, and nothing unfortunate happened there either. As usual, if you're taking cholestyramine or colestipol, take them at least two hours apart from ezetimibe (Zetia). Those two medications seem to keep everything in the intestines and out of the bloodstream, which does you no good if you paid a lot of money for your medications. Of course, ezetimibe (Zetia) does cause some side effects. What doesn't? However, the side effects seem to be fairly standard, consisting of back pain, joint pain, diarrhea, sinusitis, abdominal pain, pharyngitis, coughing, higher propensity for viral infection, and fatigue in order of probability. You might experience none, one, or many of them at the same time. You may also experience one of the other hundreds of events that people reported while taking Ezetimibe (Zetia). The list of potential side effects for any medication is at least two pages long, as the pharmaceutical companies tend to list everything that ever happened while somebody was on their medication, whether they knew it was related or not. The ones listed here are just the most probable. A few people have overdosed on ezetimibe (Zetia) and they didn't seem to have any serious symptoms and no permanent damage. In addition, nothing terrible happened to the rats who were given way, way too much for a long period of time. Therefore, the advice for ezetimibe (Zetia) overdose is to get the person to a hospital, especially if it's a child, and treat symptoms as they come up. Ezetimibe (Zetia) prescriptions are usually filled by a pharmacy technician and then checked by a pharmacist for accuracy before being handed over to you. However, both pharmacy technicians and pharmacists are human and can screw up, so here's the description for all of the dosages of Zetia. Always check your medication when you get it from the pharmacy before you put it in your mouth. Doing so might save your life. Zetia is only marketed in a 10 mg tablet, which is an white to off-white capsule shaped tablet with "414" engraved on one side. Yeah, I know, real distinctive that. The marketing guys must have knocked themselves out. Keep in mind that this description is only good for ezetimibe that's marketed under the brand name "Zetia". If you get it under another name, it must look different by law. Get to know what your medication looks like and check it every single time. Store ezetimibe (Zetia) at 25 degrees C (77 degrees F). Excursions are permitted between 15 and 30 degrees C (56 to 86 degrees F). This means you probably want to keep it in a cool pantry or medicine cabinet most of the time, but if you leave it out on your bedside table overnight it won't matter , unless of course you live in the Sahara or in Siberia with no climate control. Ezetimibe (Zetia) is not a terribly effective medication against high cholesterol on its own, but it's quite promising as a combination therapy along with a medication that will reduce cholesterol synthesis in the liver. However, if you only have a mild problem with high cholesterol, ezetimibe (Zetia) may offer a much safer alternative to other, more potent medications. As always, work with your doctor to find the medication that's best for you, both in terms of what level of effect you need and what side effects you can put up with in order to enjoy the best quality of life possible.